New PhD student in our network! Alannah Pearson is now beginning her project on temporal lobes evolution in human and non-human primates, with a special focus on paleoneurology and functional craniology. She will be supervised by an amazing team of experts, including David Polly (Indiana University) and Colin Groves, Alison Behie and Katharine Balolia (Australian National University). A short presentation, in her own words: “I was born in Australia in 1985 and I am currently a PhD candidate at the Australian National University in Canberra. I completed a Bachelor of Arts in Archaeology and Palaeoanthropology before an Honours year specialising in Biological Anthropology analysing pre-collected craniometric data from populations in India before comparing these to William White Howells’ global craniometric datasets to assess population affinities. I recently completed a Master of Philosophy in Palaeoanthropology using CT of hominoid cranial bones examining inter- and intraspecific shape variation, phylogenetic signal, allometric and non-allometric differences. I also conducted phylogenetic analyses using Neighbour-Joining and Continuous Trait Maximum Likelihood methods. I am interested in the evolution of extant and fossil primate cranial morphology, shape and size differences between taxa. 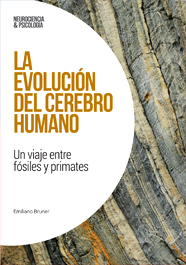 I recently became fascinated with primate cerebral evolution and shape variation with this being the direction of my PhD project. When not studying physical anthropology, I like to write fiction novels and I am currently working toward publication. I also have a keen interest in digital photography, particularly landscape and wildlife photography.” Welcome at the Laboratory of Hominid Paleoneurobiology!